Before the town of Roland began, Lowestoft School No. 509 was built in 1888 at SE28-4-4W, approximately three kilometres southeast of the eventual town site. Pupils from the surrounding district, as well as the developing town, which began in 1889, received their early education at this school. The first teacher, hired in 1888, was Miss Maggie Brooks. 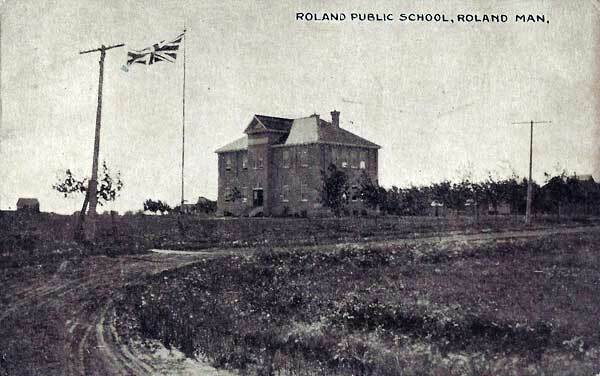 With the development of Roland, it was decided to build a two-room school in the town in 1898, on the site of the present school. 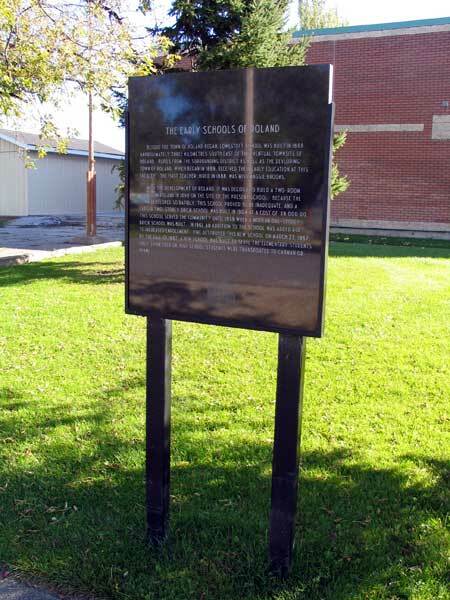 Because the school developed so rapidly, this school proved to be inadequate and a larger, two-storey brick school was built in 1904, at a cost of $9,000, on a design by Winnipeg architect H. F. Griffith. 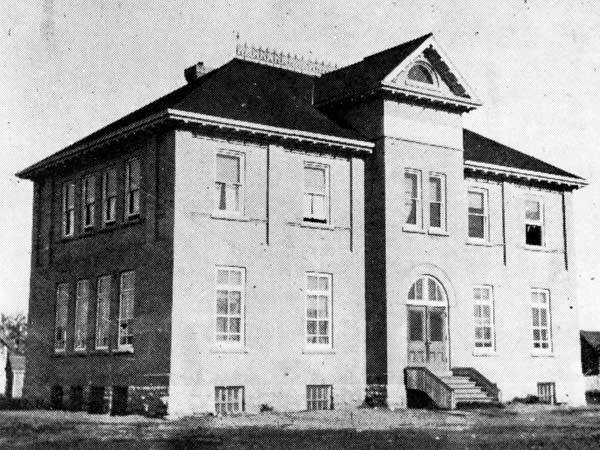 The 1904 school served the community until 1959 when a modern one-storey brick school was built on a design by Winnipeg architect Laurie Ward. It featured six classrooms and two assembly-rooms/classrooms. In 1961, an addition to the school was made due to increased enrolment. Fire destroyed this school on 23 March 1967. By the Fall of 1967, a new school was built to serve the elementary students only. From then on, high school students were transported to Carman or Miami. 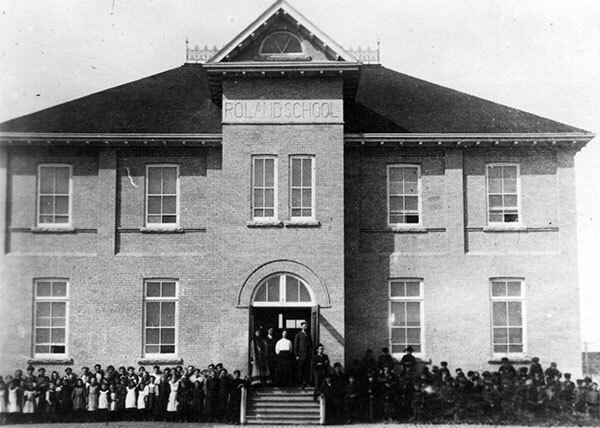 Source: Archives of Manitoba, Roland - School. “Tenders for Roland School,” Winnipeg Free Press, 11 May 1959, page 38.